And for me, the custom projects for Autumn have also started to arrive. At the end of August I made this set of 3 toadstools for a local primary school display piece. 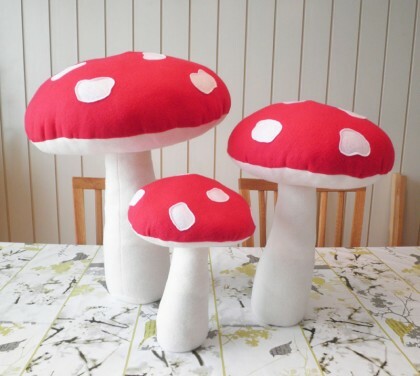 The tallest is 45 cm high, they have lots of weight beads in the bottom to keep them up right! 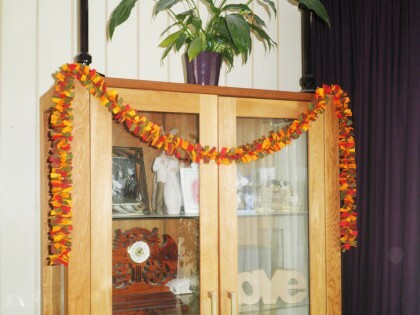 I also made this autumn colour garland for the display too. It is a new style of garland that I am experimenting with at the moment (more to follow on that later). This entry was posted in Autumn, Custom Orders on September 9, 2014 by Handmade Cuddles.